Lanza aficionado and broadcaster Lindsay Perigo has done his idol proud with his much-revised third edition of The One Tenor: A Salute to Mario Lanza, an unashamedly eclectic collection of essays, reviews, interviews, and even a sonnet. This is the first time the book has appeared in paperback form, and it’s been given a major makeover, with some eye-poppingly vivid colour photographs and an astute selection of striking black and white pics. ​More importantly, its written content---most of it penned by the inimitable Linz himself---has been radically restructured, with the essays and articles now logically organized into four broad categories: Lanza the person and artist (“A Sense of Life”); reviews of selected recordings (“My God, Could That Man Sing”), reminiscences from colleagues and assorted tributes (“Fans, Friends, Family and Fellow-Artists”), and an extended interview with biographer Roland Bessette (“Controversy”). As I note in my preface to The One Tenor, the Bessette section is worth the price of the book alone, with Linz (an interviewer without peer in his native New Zealand) probing the lawyer-author at length regarding his contentious theory that Lanza suffered from undiagnosed Bipolar Disorder, and then responding good-humoredly with his own (eminently plausible) theory as to why the great tenor’s career was so erratic. Linz’s book is available now in both Kindle and paperback form, and in the few weeks since its publication late last month has already hit the #1 spot on Amazon’s “Hot new [book] releases” chart in opera. That’s great news for Linz—and great news for Lanza, whose rightful place among the operatic giants of the last century has never been more secure. As for the quality of the book itself, our own Dr. Lee Ann Cafferata (co-founder of this site) is right on the money when she observes that its "thoughtful, subjective, fast-paced and heartwarming [essays] . . . give us brilliance and calamity, sometimes on the same page." Get yourself a copy today! Submitted by Lindsay Perigo on Thu, 2019-02-21 08:50. Submitted by Lindsay Perigo on Mon, 2018-12-24 04:22. Submitted by Kyrel Zantonavitch on Sat, 2018-08-25 12:44. I would still love to see The Total Passion For The Total Height by Lindsay Perigo put into print. Books are so much easier to study and promote when available in a printed version. Submitted by Lindsay Perigo on Sat, 2018-08-25 06:53. "Aretha's stylistic embrace was amazingly open-armed. In her 1999 interview on Fresh Air, she told Terry Gross that she loved the Charlie Parker records she listened to in her girlhood home, and eventually grew to love the operatic Mario Lanza albums that caused her older sister Erma to cry." Submitted by Lindsay Perigo on Sat, 2018-03-10 05:44. Submitted by Lindsay Perigo on Sat, 2018-01-06 04:26. More Magnificent Mario! Keep 'em coming, you and Sepia! 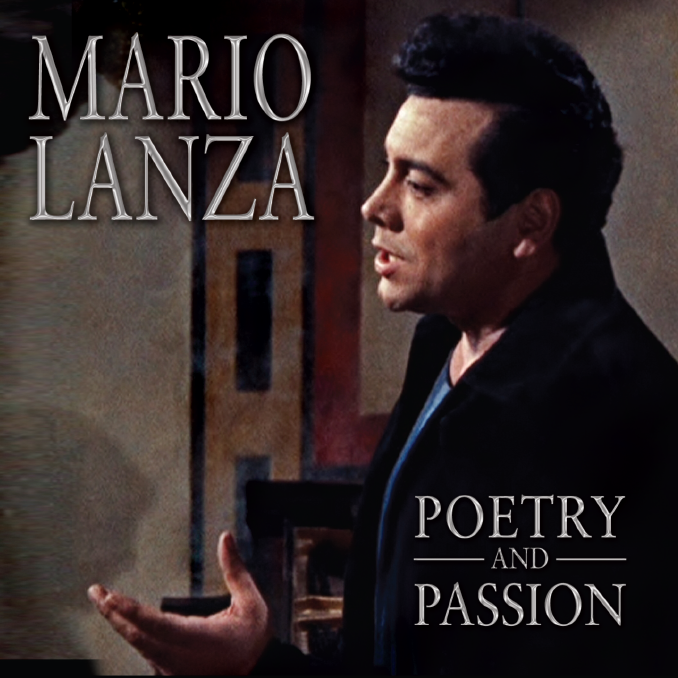 New Mario Lanza CD: "Poetry and Passion"
Submitted by Derek McGovern on Sat, 2018-01-06 04:04. When it comes to Mario Lanza CD releases, UK-based Sepia Records is in a class of its own. The company’s latest release, Poetry and Passion—its sixth Lanza compilation since 2015—continues its commitment to showcasing the great tenor in consistently glorious form, and includes everything from opera to popular song. It’ll be available directly from Sepia around the middle of January, and then from Amazon and other online retailers from February 9. Submitted by Derek McGovern on Sat, 2018-01-06 03:22. Dmitri Hvorostovsky’s death six weeks ago hit me hard. I’d followed his career closely since he first burst on the international stage in 1989, and had heard him in concert in Seoul in 2005—a thrilling experience. If not the finest baritone of his generation, he was certainly the most exciting. This amateur video of Dmitri (flanked by a couple of bright-voiced tenors and a pair of baritones) singing an arrangement of Abinoni’s famous Adagio in G Minor offers proof of that. It was filmed in 2014, when he was already feeling the effect of the (then-undiagnosed) brain tumour that killed him. While he’s uncharacteristically slumming it here, relying on the score in front of him, just watch and listen to what he does from the three-minute mark to the end. He has the voice and bearing of a god. Submitted by Kyrel Zantonavitch on Wed, 2017-12-13 08:21. I'm glad The One Tenor is now in paperback! But I'd love to see The Total Passion for the Total Height also in print. For me, there's such convenience and pleasure in having an actual physical book of something. It's well worth the extra cost. Mario's Xmas Album Still Slays 'Em! Submitted by Lindsay Perigo on Wed, 2017-12-13 06:49. "Christmas with Mario Lanza." "Just what a voice," Russell said. "And because he had such a huge and clear tone, it would stand up to full orchestra treatment. The orchestrations are just mammoth and audacious. And it is really heartfelt. Crank it up." Submitted by Lindsay Perigo on Thu, 2017-11-23 20:10. Submitted by Olivia on Thu, 2017-11-23 02:46. A stunningly gorgeous man with a real talent - at 55, that truly is a tragedy. RIP. Submitted by Lindsay Perigo on Thu, 2017-11-23 00:00. The great baritone Dmitri Hvorostovsky has just died in a London hospital from a brain tumour diagnosed some time ago. His death at the age of 55 while still in full vocal bloom is a tragedy. Dmitri was inspired to sing by Mario: "It was Mario Lanza. He had a thrilling voice, and the first time I heard him I thought, I want to sing like that." Submitted by Lindsay Perigo on Mon, 2016-07-25 08:31. Congratulations to Lindsay on the remarkable success of his book, The One Tenor. No Lanza fan can be 'complete' without reading this extraordinary approach to profiling the Lanza voice and legacy. He has always been an exceptionally diverse observer and, as you know, writes on a wide range of topics…from classical music reviews to political and social topics, like the engineered destruction of America…our country has been taken from 13 Trillion to 21 Trillion in debt in just 7 years…that's not 'politics'...that's reality. And speaking of 'reality'…what IS it anymore? Remember Orwell? This is a worthy commentary of where we are and where we are heading… https://www.youtube.com/watch?... As for 'politics', I will just say it is profoundly obvious we are at the Final Crossroads now. America will soon decide its fate. (Barring vote fraud or electoral college fraud or fraud fraud). In The One Tenor, the reader is led through a feast of remarkable words, gourmet expressions and unique creativity and insight. Few can write from the heart as effectively as does Mr. Perigo…as you will see for yourself, if you haven't already. There can never be too many wonderful books on Lanza whose memory and living voice are blessed with some truly amazing volumes. The descriptive exuberance and masterful phrase-turning of Mr. Perigo in The One Tenor, are often magical, indeed. I was honored to make a small contribution to this unique and indispensable work. There are so many textures and harmonics to Mario's life...and many of them are brought to vivid, colorful, sparkling life here. Submitted by Lindsay Perigo on Fri, 2016-07-22 09:43. I hadn't quite realised how tacky Kindle is till I got the hard copy of my own book having had it out on Kindle only for so long. Phooey to Kindle! Submitted by gregster on Fri, 2016-07-22 06:23. Listen to these while you wait. They are beautiful. Un all'azzuro spazio; Lamento di Federico; E lucevan le stelle; M'appari; Come un bel di di maggio; Mamma mia, che vo' sape; Che gelida manina. Edit: I got my copy yesterday. One book in the hand is worth more than two on the iPad. Looks excellent. Submitted by Neil Parille on Sat, 2016-07-16 23:59. Submitted by Lindsay Perigo on Sat, 2016-07-16 23:50. Thank you Neil! Note it's hard copy but not hard cover—it's paperback. Amazon makes on charge ridiculous prices for books containing colour photos, as this one does, so hard cover would have too expensive altogether for most folks. Submitted by Neil Parille on Sat, 2016-07-16 22:30. How I could I avoid a book by a fellow Italian-American from Philadelphia? Submitted by Lindsay Perigo on Thu, 2016-07-14 00:24. The updated Kindle version of The One Tenor is available for 99 cents for the next forty hours. Special Amazon promotion. Be in! But do buy the hard copy as well. Submitted by gregster on Wed, 2016-07-13 03:12. And the paperback version. Mine's due around July 27th. And those Sepia CDs are excellent Derek. Now I'll check out your review of the book.. Submitted by Lindsay Perigo on Wed, 2016-07-13 03:03. Derek, it was worth writing the book just to get a review like yours! Must have worked too—I'm back at #1!! Lady Slapper: It sustains me, knowing that Mario would indeed have loved it. Seeing you on the back cover, though, he'd have been impossible to fend off. Not that you would have even begun to try! Nephew Vardo: Why are you not the LP candidate instead of that wimp Johnson?! Submitted by Olivia on Tue, 2016-07-12 23:12. Beautifully written, beautifully produced and beautifully pictorial! A work of art all round. Splendidly done Lord Whopper Flopper. Submitted by mvardoulis on Tue, 2016-07-12 16:58. "The One Tenor" is increasing mightily in scope and influence, as it so well deserves!